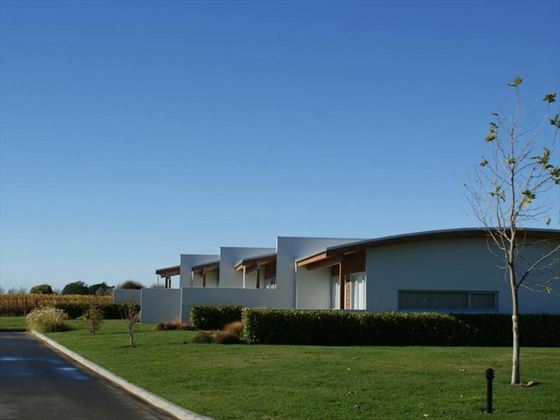 Nestled in the stunning Marlborough vineyard region in Blenheim, Marlborough Vintners Hotel offers a sophisticated and utterly charming retreat for those hoping for seclusion, tranquillity, and fantastic food and wine. 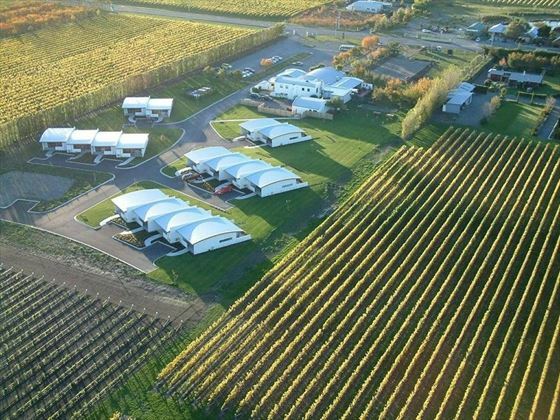 With only 16 suites, it’s easy to feel like you’re the only people in the world, relaxing in your contemporary suite or patio whilst overlooking either the verdant gardens, or the lovely vineyards. For the ultimate indulgence, book the Outdoor Bath Suite – it’s spacious, romantic, and has a gorgeous claw-footed bath on the patio. After exploring the area, there’s no doubt you’ll have worked up an appetite. The Restaurant at Vintners is truly wonderful, offering delicious dishes created with fresh local ingredients, including those picked from the hotel’s garden. 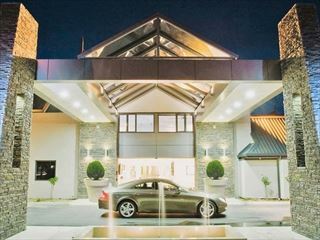 This gorgeous hotel is nestled in the heart of Blenheim, a charming town in the Marlborough wine country. 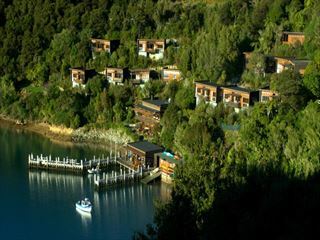 This pretty location evokes a peaceful ambience – and being in a wine region, the food and drink is impeccable too. 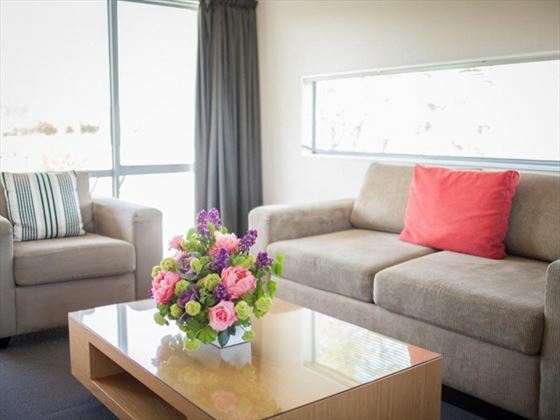 Garden View Suite – Pretty suites overlooking the bright, landscaped gardens, with their own private patio. 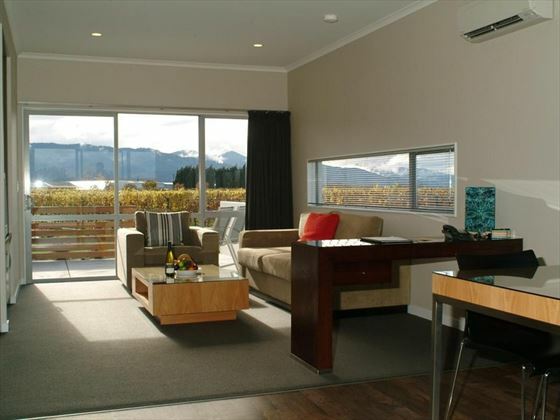 Vineyard View Suite – Similar to before, with views of the landscaped lawns and vineyard. Outdoor Bath Suite – A beautiful and romantic suite overlooking its own native garden, with a fabulous claw-footed bath on the patio. 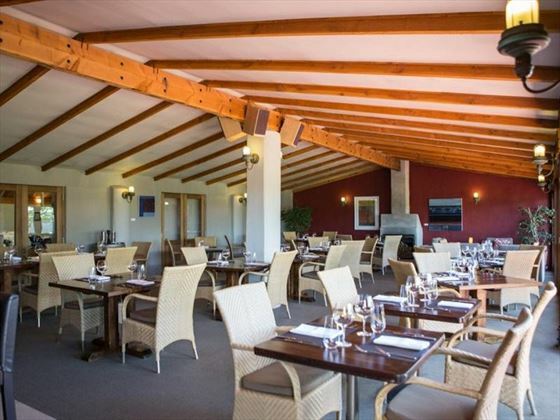 Overlooking the hotel’s rose and vegetable garden, which is regularly used for ingredients, the Restaurant at Vintners is renowned as one of the best Blenheim restaurants thanks to its delicious, locally sourced cuisine. The handpicked selection of wines are fantastic too, including decadent vintage wines and bottles from boutique wineries. 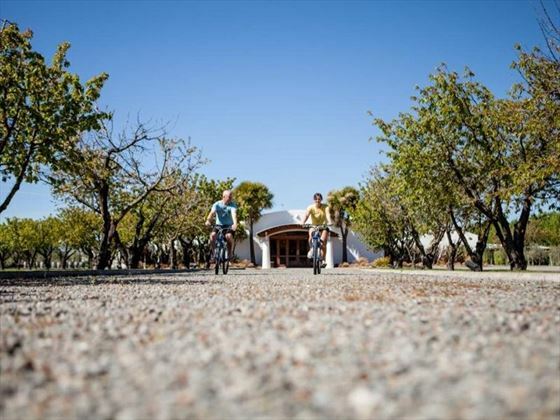 Only a short walk from Bleheim's centre, Chateau Marlborough is the ideal spot to relax in between exploring the area. 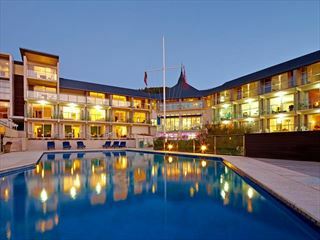 The self-contained studios and suites are perfect for those hoping for privacy.